The EU and the USA hail reforms in Ukraine’s energy sector. The organizer and inspirer of the Polish economic reform, Leszek Balcerowicz, has credited the government of former Ukrainian Prime Minister Arseniy Yatsenyuk for reforming the country's economy. 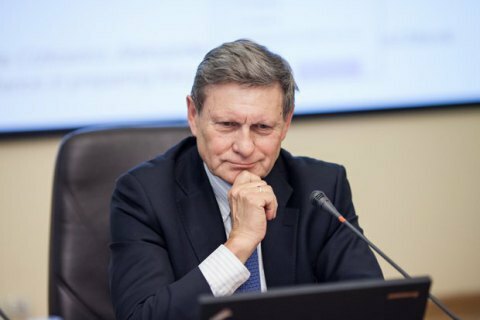 During a TV appearance on 5 May, Balcerowicz noted that Ukraine had made a "great progress" which "would have been impossible without the unpopular but necessary policy." "As a man who implemented reforms in Poland, I feel great respect for Prime Minister Yatsenyuk and his ministers," Balcerowicz said. In a joint statement on the results of the US-EU Energy Council, the EU and the USA also praised the energy sector reform launched by Yatsenyuk's government. "The Council noted the importance for Ukraine to maintain the momentum of reform and to strengthen mechanisms for the implementation of reforms in the energy sector in accordance with their obligations under the Agreement on the EU-Ukraine Association and the Energy Community, including those laid down by agreement with the IMF, World Bank, EBRD and EIB," it reads. US-EU Energy Council underscored that the efforts by Yatsenyuk’s cabinet would help stimulate investment, increase domestic production of natural gas, increase the capacity of storage facilities and improve the energy efficiency of national economy. Speaker set to fight "legislative spam"